After coming on to replace Marcus Rashford, the 21-year-old striker ran onto a header from Romelu Lukaku and put it past Hugo Lloris in the 81st minute to give United the three pointsMartial has now scored four goals in the Premier League this season, all of which came during substitute appearances. Last week's 2-1 defeat to Brighton was just his third start in the top flight, while he was again present in the first-team in Tuesday's Carabao Cup win over Swansea. However, the France international hopes to be given more chances after taking on his manager's instructions to play a key role in a vital win. “We lost the last game, so it’s important for us to win and score," he told Sky Sports . "The manager told me to find the space and I know Lukaku is good with his head. "I want to play. I don't want to be on the bench!" United move three points ahead of Spurs and prevent rivals Manchester City from extending their lead at the top of the table, which stood at five points before the weekend's games. And Matic believes the win keeps them in a strong position in the title race. "It was very important against a very good team that is one of the best in the league," he said. 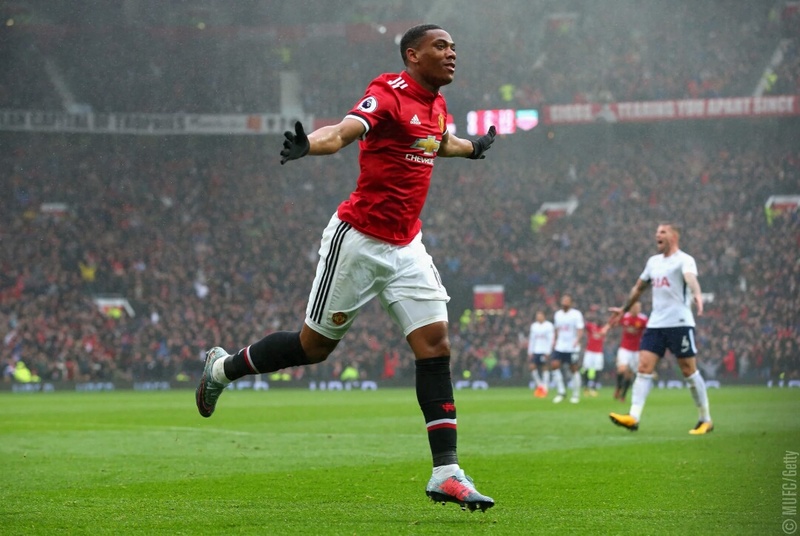 "Thanks to this guy (Martial), we managed to score a goal and to win this very difficult game. Congratulations to our opponents today because they were very, very good and it was a great game. "I think the fans enjoyed it and the most important thing is we took the three points and we can focus on the next game now. "I think they had a little bit more of the ball in the first half, but we had more clear chances. They play great football, but the most important thing is the result at the end and we managed to win. "If we continue like this, and fight like this, we can compete for the title.